NutriGlow ANTI ACNE Mint Massage Gel with the goodness of MINT & TEA TREE OIL - PH Balanced. This is a review on an ANTI ACNE GEL from the brand NutriGlow. 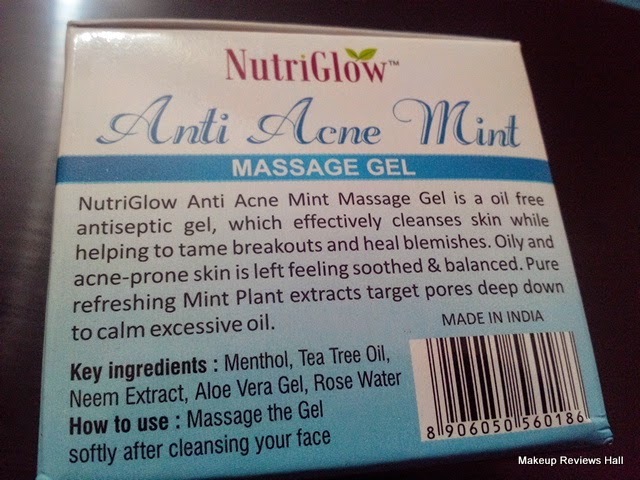 I have never bought any product of this brand before but few days back I bought this Nutri Glow Anti Acne Massage Gel which comes with the goodness of Mint and Tea Tree Oil. I didn't buy this anti acne gel specifically for acne since I believe in using home remedies to get rid of acne since they are natural and safe. I bought this gel specifically to use it on my armpits after wax, since waxing causes tiny zits on my underarms. I do use Patanajli Aloe Vera Gel after wax and it does soothe my skin quite a lot, but this time I was over with Patanjali Aloe Vera Gel and could not find a Patanjali outlet near by, so ordered this NutriGlow Anti Acne Gel to use it as an AFTER WAX GEL. Nutri Glow Aloe Vera Gel was also there, but I went for Anti Acne. What this NutriGlow Anti Acne Mint Massage Gel Claims? NutriGlow Anti Acne Mint Massage Gel is an oil free antiseptic gel, which effectively cleanses skin while helping to tame breakouts and heal blemishes. Oily and acne-prone skin is left feeling soothed & balanced. Pure refreshing Mint Plant extracts with nano particles target pores deep down to calm excessive oil. Peppermint is rich in beta carotene. 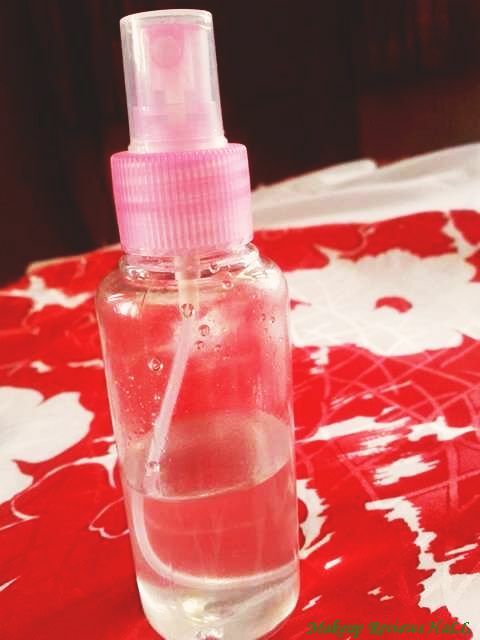 It is a natural anti-irritant, antiseptic that gently soothes, cleans, disinfects, and moisturizes the skin. Also, it acts as an antioxidant, anti-bacterial and soothes the skin, combats free radicals and supplies vitamins A and C.
Tea tree oil acts as an antioxidant, moisturizer, hydrator and supplies bioflavonoids that rejuvenates the skin delivering a balanced mix of essential antioxidants and effectively combating free radicals to prevent growth of acne. Pepper Mint Gel, Tea Tree Oil, Neem Extract, Rose Water. Antioxidant, Anti-bacterial, soothes the skin, combats free radicals and supplies vitamin A and C that prevent growth of acne. Peppermint moisturizes and calms irritation due to sun exposure; hydrates and softens skin. Heals and soothes sun and element exposed skin. 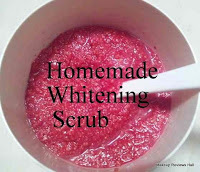 Prevents growth of acne on skin. Moisturizers, rejuvenates and protects epidermis. Skin is cooled and refreshed. Massage the gel softly after cleaning your face. Price - Rs 75/- for 100 g. I got for Rs 105/- with shipping. This NutriGlow Anti Acne Massage Gel comes in a simple transparent jar like any other gel ( Patanjali Aloe Vera in tube, an exception). 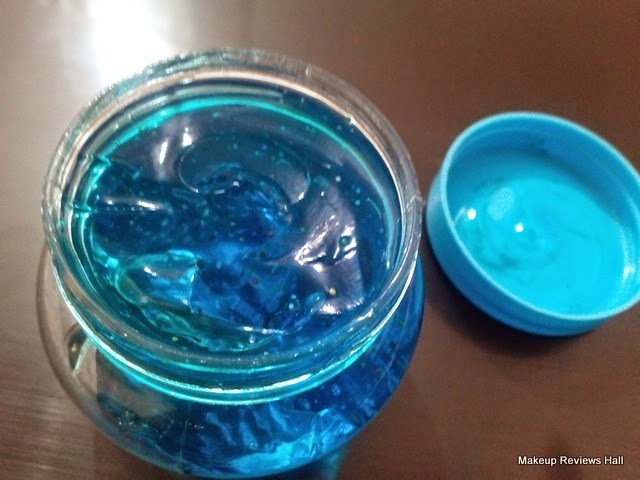 The gel appears to be very beautiful in this blue vibrant color on look. Before reviewing anything about this anti acne gel, I will just give brief information on how and why I ordered this gel. I never like waxing my underarms, since its so painful and even bleed sometimes. I kept getting my underarms waxed but then after sometime, the pain got simply unbearable, so I just stopped waxing and started using Venus Gillette Razor for Women, but after using Venus Razor for quite long period I got really dark underarms. 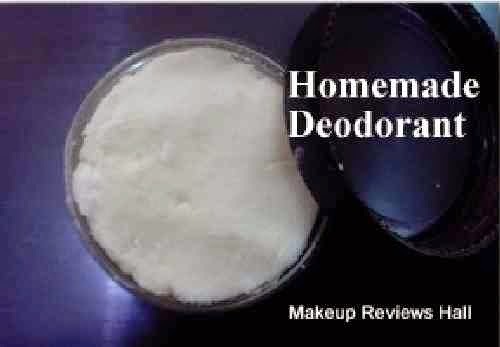 Now to get rid of those dark underarms, I used many methods, home remedies, whitening deodorants, one being Nivea Whitening Deodorant for dark underarms, but till now I haven't got satisfactory results. So I decided that I will get back to waxing, since waxing is the only solution when you want clean fresh looking armpits. 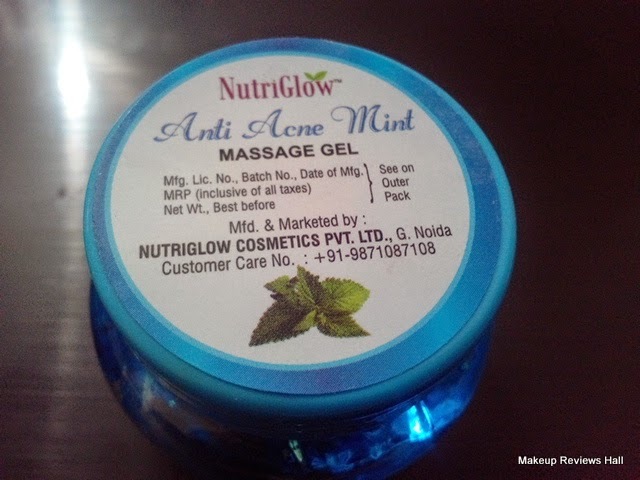 But then it was very important for me to get any anti acne soothing gel to avoid getting any zits or acne after wax and it was then while looking for a Patanjali Aloe Vera Gel online, I saw this Nutri Glow Anti Acne Massage Gel. When I saw this gel with the name anti acne and ingredients like Mint and Tea tree oil, I immediately ordered it thinking nothing could be better than this mint gel in summers and tea tree oil would help in reducing acne. 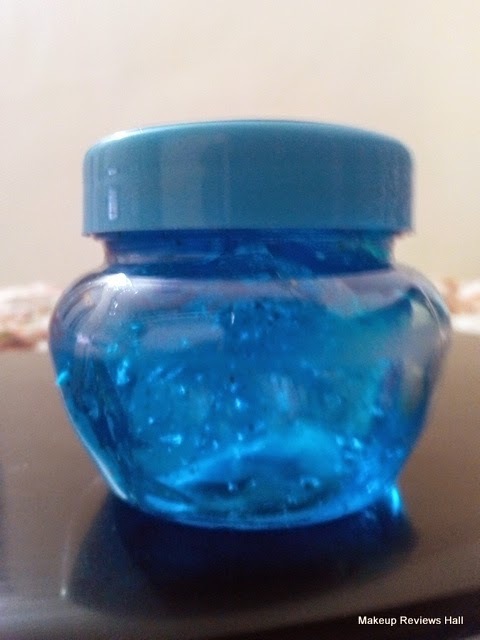 The Gel looks very pretty in this blue vibrant shiny color. 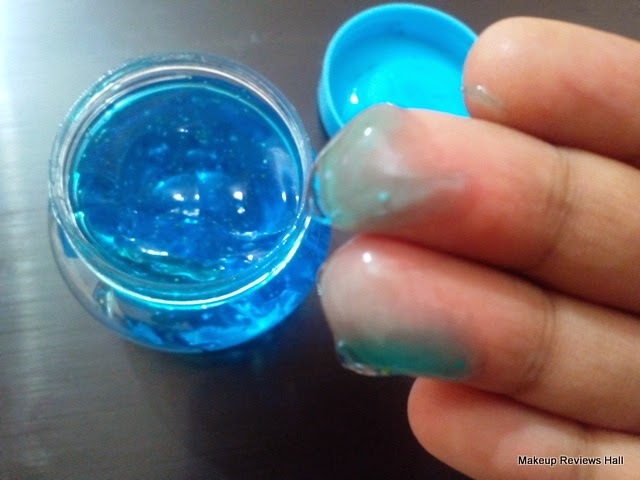 The consistency of the gel is normal like any other gel and has lightly greenish appearance when taken on fingers opposite to blue what it appears inside the jar. 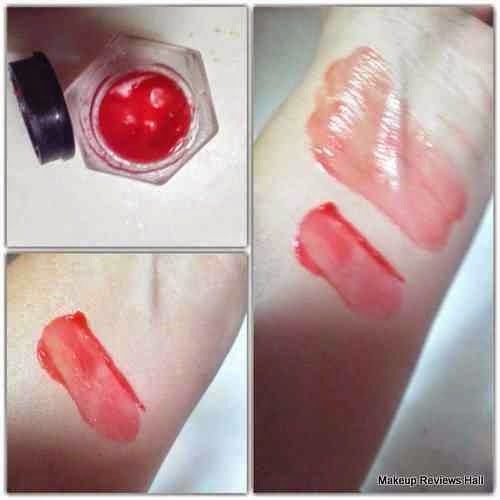 The Gel is not that much sticky like other gels and just glides onto the skin easily. 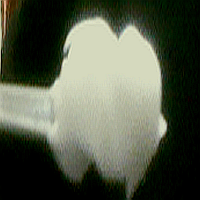 It has few tiny white particles but they don't feel on skin until you feel it with your fingers. I used this Nutri Glow Anti Acne gel on my armpits after wax, and it glided smoothly and gave me instant cooling effect and relief after that burning sensation after wax. 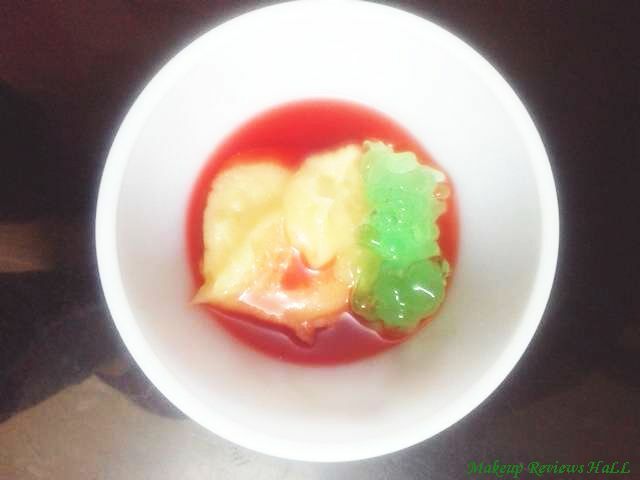 Moreover since I keep my gels in Refrigerator, so cooling effect was more than average. 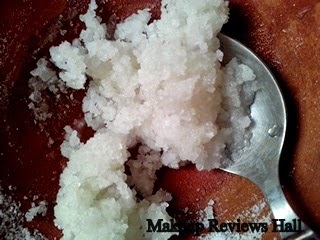 It reduced the redness on my armpits more than 50 percent in just 2 minutes. I then left it there for 30 minutes and then wiped it with a wet cloth gently. I reapplied this gel again and again in the same way 3 times for 2 days and luckily I did not got any big zits on my armpits this time. I had just 1-2 very tiny zits that too on one of the underarms. No itching, burning, redness like I normally feel after wax. I am very happy this Nutri Glow Anti Acne Massage Gel. Though I haven't used it on face acne but to avoid any occurrence of acne on armpits after wax, which I normally get. So I don't know how good this gel is for face acne but surely this is a good after wax gel to reduce the occurrence of acne, zits and pimples, specially for sensitive skin. Reduce the chances of acne if used regularly. Comes in a jar, hygiene issues. Nice product and I will love the calming effect on my skin. But like you've said, wonder where to buy. Good review! I like that it has natural ingredients. I don't use wax on my arms, neither my Silkepil, I refer a cream.